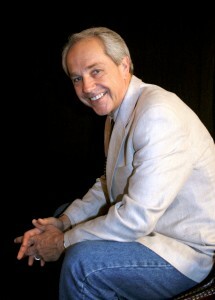 Sammy Tippit has written and been co-author of 17 books and e-books. He was co-author of Sammy Tippit – God’s Love in Action, which was the first book written by bestselling author, Jerry B. Jenkins. After writing four books with Jenkins, he began writing numerous non-fiction books on his own. Many of those books have been translated into more than twenty languages. Sammy Tippit – God’s Love in Action has been updated as God’s Secret Agent. Sammy’s book, The Prayer Factor, is the most translated book of all his works, and was the first Christian book translated into the Mongolian language inside the nation of Mongolia. The Prayer Factor and Fire in Your Heart, two of Sammy’s earlier books, were bestsellers among Christian books in Brazil. All of his books have followed the theme of renewal in the lives of Christians. Sammy made a decision to write fiction in 2012 and immediately gave himself to learning the craft. Running Home is his second non-fiction and the first in the Louisiana Light series. His fiction works are laced with the theme of personal revival and are inspirational mysteries with fast paced drama that keeps the reader turning the pages. Sammy is married to Debara “Tex” Tippit, and they have two children and five grandchildren and reside in San Antonio, Texas. Sammy is an international evangelist who has preached in more than 80 countries.